Sometimes you need to facilitate communication in the field by topping up your field staff or beneficiaries airtime. You can now use Airtime Payments for this. When you make an Airtime Payment, we automatically top up the recipients’ airtime credit and give them more calling minutes. This allows them to make calls immediately, without having to withdraw mobile money or convert it to airtime. Airtime Payments are free to send, which increases your organization’s savings, and your users will not incur withdrawal fees. 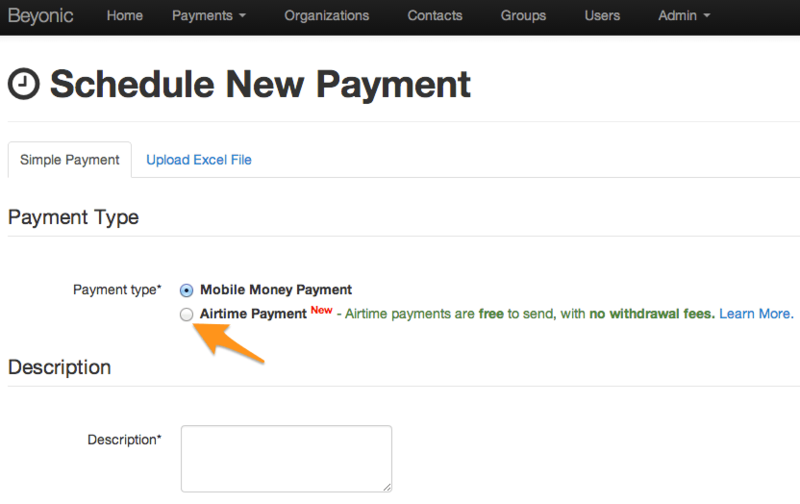 To send an Airtime Payment, simply select the “Airtime Payment” option when creating a new payment.